Asquith & Fox AQ015 Men’s polo in black, also, AQ025 Women’s polo in black. b:friend logo embroidered to the front left chest. Also, RC029 Woolly ski hat with embroidered logo to the front. 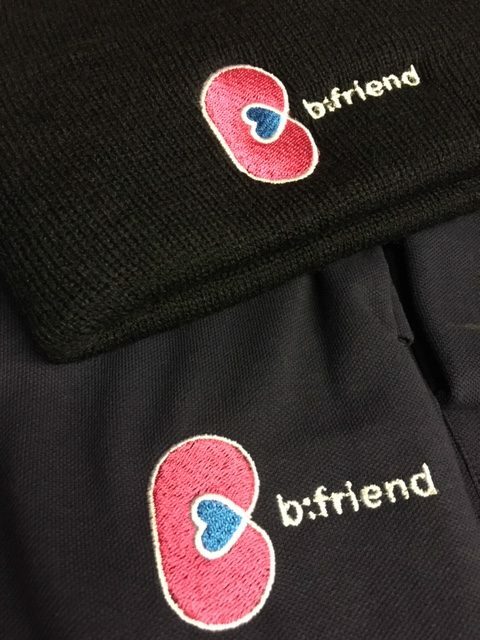 Doncaster based charity b:Friend invest in branded uniform to share their brand with others. 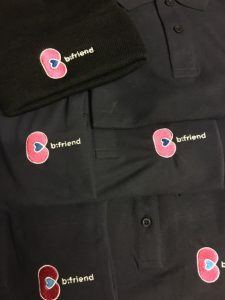 Also, having branded uniform helps the elderly people they help to recognise their volunteers.